Hiring is more of an art than a science. There was a time when you might have been able to get away with saying something like this. Those days are long gone. With the amount of data available to hiring professionals with respect to job seekers, leaving recruiting and onboarding up to your gut feelings isn’t a defensible strategy anymore—and it also means you’re putting the long-term growth of your business at risk. Within the auto dealership segment, there’s a clear need for proven and repeatable processes that consistently drive positive results with new hires. 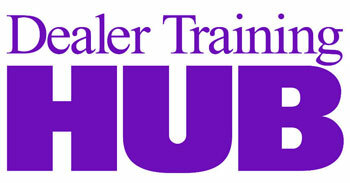 According to our research, 75% percent of auto dealers have trouble with hiring. What does that look like? High turnover. The average churn rate for sales staff at dealerships is more than 65%. This has significant financial and operational repercussions on a dealership’s performance. Loss of revenue. Bad hires result in dealership owners spending between three and 10 times the annual salary of the employee (depending on the level) to replace that person. Wasted time. The time invested in training and building the knowledge and skills for bad hires goes down the drain. Operational disruption. A poor hire at the management level can set a dealership back six months in terms of performance. Damaged reputation with customers and staff. Bad hires and turnover negatively influence the perceptions of internal staff, as well as the customers who come back to new faces every time they return. Define. A step that’s often not given adequate attention is clearly defining the role you’re looking to fill. Without specific expectations for candidate experience and detailed job responsibilities, you’ll likely end up attracting job seekers who don’t fit your vision for the role. Source. In addition to clearly outlining prospective candidates’ roles, it’s critical that auto dealership recruiters are using the most effective channels to source talent. Posting opportunities to job search platforms like Indeed, as well as social media, is the first step in getting your brand and message in front of the right job seekers. Select. 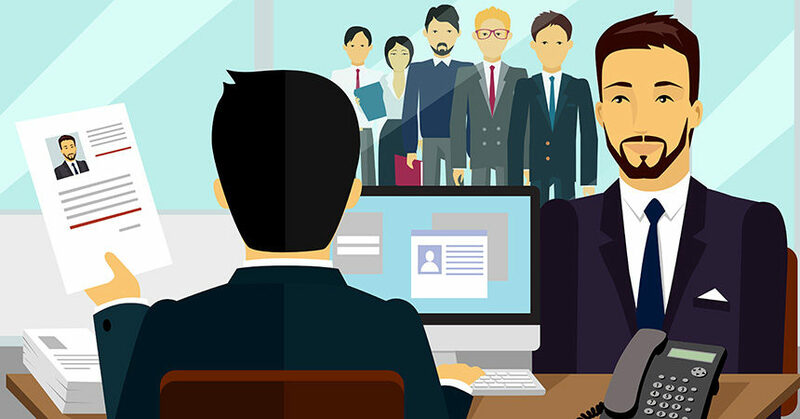 Once you’ve posted job opportunities in the right place, it’s time to thoroughly vet the candidates. Using tracking tools to monitor and assess inbound applications allows you to see the individuals who have the most relevant experience and how they can benefit your dealership. Verify. Finally, one of the most critical steps in the hiring process is making sure the applicants who possess the greatest promise are who they say they are. Verifying experience and cultural fit through tools like background checks, employment verification, and personality profiling will help ensure you’re making informed hiring decisions. Implementing a successful hiring process at your dealership doesn’t just help you avoid the damage caused by bad hires; it provides measurable, tangible results for your business. George Matick Chevrolet provides a clear example of how hiring can impact a dealership’s revenue. By selecting a qualified hiring solutions vendor to support its hiring efforts, the dealership was able to generate better-than-expected results in terms of quality and quantity of staff. For instance, the dealership grew its staff by 25% in 2015, which equaled its growth in new car sales during that time. At the same time, used cars sales grew 300%. The company also doubled its business development center team—going from four to eight people—in fewer than six weeks. By putting together a hiring process that helped propel George Matick Chevrolet into the top 20 Chevrolet dealerships in the country, the dealership has set itself up for long-term success. A fundamental step in developing an effective, sustainable hiring process is working with the right partner. Vendors run the gamut between those offering single-function tools, and others that provide comprehensive, integrated applicant-tracking software. Be sure not only to understand your technical requirements for hiring technology, but your support requirements as well. Make sure your supplier can provide the right kind of training, support, and coaching to help you get the most from your technology investments—and from your new hires. Based on your dealership’s hiring needs, select a vendor that will not only provide the features you need to define, source, select, and verify job seekers but support the strategy as well. Adam Robinson is the co-founder and CEO of Hireology. Founded in 2010, Hireology has become the go-to hiring platform for over 200 automotive rooftops, 100 franchises, and more than 2,000 clients.